Dr. Jungho Baek is a Professor and Economics Program Director in School of Management (SOM) at UAF. His principal research fields include transportation economics, resource economics, economics of environment and trade, energy economics, and econometric modeling. His work in these areas has been presented at various professional conferences and published in over 50 international referred journals. Prior to SOM, he has conducted research for the Korea Institute for International Economic Policy (KIEP), in South Korea, and the Center for Agricultural Policy and Trade Studies (CAPTS), at North Dakota State University. Rhonda Brooks has served as a transportation policy advisor and manager at the Washington State Department of Transportation (WSDOT) for over twenty five years. Her multidisciplinary transportation expertise includes finance, planning, research, project development and communications. She has also served as a state transportation liaison to federal, state and local elected officials and agencies, business and industry leaders and special interest groups concerning a number of high profile transportation projects involving complex and controversial issues. Her professional experience includes directing and publishing a number of large, complex transportation studies including major investment studies; environmental impact statements; traffic and revenue studies, project finance plans and a number of state transportation policy reports. Currently, she is a Research Manager overseeing WSDOT’s environmental, design safety, and security related research endeavors. Some of her current projects involve fish passage and behavior, wildlife crossings, engineered logjams, roadside safety design, water quality and stormwater management, hydraulics, real estate and prioritization of security related improvements. Ms. Brooks has a Masters Degree in Public Administration and an undergraduate degree in Communications from The Evergreen State College. Doug Busko is a licensed civil engineer in CH2M HILL’s Spokane,WA, office. He has designed and overseen construction on a broad range of civil infrastructure over his career, including drinking water, stormwater, wastewater, and transportation projects. Currently, he is working on the upgrades to the Sandpoint, ID, drinking water plant; a group of low impact development (LID) stormwater projects along public roadways in Syracuse, New York; low impact stormwater designs for new surface parking lots at the San Diego Airport; and the environmental remediation of the northern desert and coastline of Saudi Arabia. He earned his B.S. in civil engineering from Gonzaga University, and his M.Engr. in civil engineering from the University of Idaho. Mike Coffey is the Director of the Southcoast Region and Statewide Maintenance and Operations for the Alaska Department of Transportation and Public Facilities. He has over 33 years with the Department and had served in several different capacities (Design, Construction, and Regional and Statewide Maintenance & Operations) before becoming the Southcoast Region Director in 2015 . Mike has extensive experience in dealing with permafrost and other arctic conditions as they relate to the maintenance and construction of the Alaska’s transportation infrastructure. Mike is an active member of the American Public Works Association (APWA) and currently sits on the APWA national Winter Maintenance Subcommittee and is the Alaska Chapter’s Maintenance Committee Chairman. 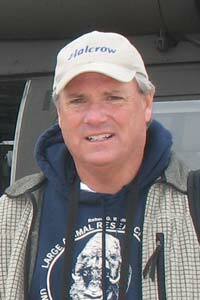 Mike has been extremely active with climate change adaptation issues in Alaska. Mike previously oversaw all of the department’s activity regarding the relocation of Newtok to Mertarvik. He previously served on the Alaska’s Climate Change Adaptation Public Infrastructure Technical Workgroup and on the Alaska Climate Change Immediate Action Workgroup that was tasked with addressing the immediate needs of several imperiled communities. Mike has also been involved in the development of Alaska’s Climate Change Strategy and has spoken at several national conferences and meetings to present on the changing climate impacts on Alaska’s transportation infrastructure. Dr. Jo Sias Daniel is a Professor of Civil Engineering at the University of New Hampshire. She obtained her BS in Civil Engineering from the University of New Hampshire and her MS and PhD from North Carolina State University. Dr. Daniel’s research focuses on asphalt concrete materials and pavements, specifically with characterization of fatigue and low temperature properties of mixtures, recycled materials, and impacts of plant production parameters. She is the director of UNH Center for Infrastructure Resilience to Climate (UCIRC) and co-director of the Infrastructure and Climate Network (ICNet) that is bringing together climate scientists and infrastructure engineers to accelerate research in the area of climate change and infrastructure. Dr. Daniel is active professionally, having served as chair of TRB committee AFK50: Characteristics of Asphalt Mixtures to Meet Strength Requirements and a Director at Large on the Board of Directors of the Association of Asphalt Paving Technologists. 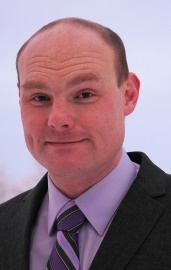 Damon Fordham is a Principal at The Cadmus Group, a technical and strategic consultancy serving clients in the areas of energy, environment, sustainable transportation, high performance building, and public health. Mr. Fordham leads Cadmus’s Sustainable Transportation Practice, and his current work is focused on the delivery of environmental, energy, and sustainability projects for the transportation sector. His expertise includes more than a dozen years managing complex studies and collaborative projects for a variety of transportation organizations and state and federal agencies. Prior to his career in consulting, Mr. Fordham was Program Manager for Environment at the American Association of State Highway and Transportation Officials (AASHTO). During his tenure at AASHTO, he led the delivery of environmental and climate technical assistance to state DOTs and local transportation agencies, working in cooperation with the Federal Highway Administration (FHWA) and Transportation Research Board (TRB). Prior to his role at AASHTO, Mr. Fordham was the first Sustainability Program Manager at the Oregon Department of Transportation (ODOT), where he conceptualized, designed, and implemented a structured sustainability program for the management of Oregon’s transportation system and ODOT’s internal operations. Mr. Fordham is an active member of TRB, serving as Vice Chair of the Committee on Transportation and Sustainability and a member of the Committee on Transportation Energy. Mr. Fordham has been a national expert panel member for ten Cooperative Research Program and Strategic Highway Research Program projects, all of them dealing with environmental, energy, and sustainability issues across various transportation modes. Dr. Khan is a Senior Vice President with Professional Service Industries, Inc. (PSI), a nationwide firm with a staff of about 2,500 and more than 100 offices across the nation. The firm provides many services including transportation research, construction QA/QC, geotechnical engineering, environmental engineering, and facilities condition assessment. Dr. Khan has been with the firm since 1995. He received his Ph.D. degree in civil engineering from Oklahoma State University (OSU) at Stillwater in 1992. Dr. Khan is a strong proponent of innovation, new technologies, and “out of box thinking.” He chaired the Transportation Research Board (TRB) Committee on Basic Research and Emerging Technologies Related to Concrete, from 1993 to 1999. He also chaired a related committee of the American Concrete Institute (ACI), Research and Current Developments, from 2008 to 2010. Dr. Khan currently chairs the TRB Concrete Materials Section, which comprises four committees and one task force on nanotechnology. Another area of Dr. Khan’s interest is sustainable development as it relates to transportation infrastructure, and he has organized a number of forums and workshops to raise the awareness of the issue and bring different segments of the industry together to address it. These include federal and state agencies, regulatory agencies, academics, researchers, innovators, and entrepreneurs. Dr. Khan’s contributions are of particular significance to the safety, economy, and preservation of nation’s transportation infrastructure. During the last 20 years, he has initiated, conducted, and managed a number of research projects and some of these projects have contributed to significant revisions and update of AASHTO Bridge Design and Construction Specifications. Dr. Khan was involved in the validation and implementation of a number of technologies developed during the initial Strategic Highway Research Program (SHRP) that concluded in 1993, and he continued his involvement in the on-going second phase of the Program, SHRP 2. Dr. Khan currently chairs the Board of Visitors of the School of Civil and Environment Engineering of Oklahoma State University. He is a member of the Executive Board of the TRB Design and Construction Group. He also currently serves on the Executive Board of the Planning & Design Division of the American Road and Transport Builders Association (ARTBA). 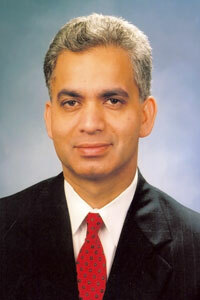 Dr. Khan is the recipient of 2013 Technology Advancement Medal of the Society of American Military Engineers (SAME). While at OSU, he received Mars Fontana Award from National Association of Corrosion Engineers (NACE) and Oklahoma State University 1992 Research Excellence Award. He is also the recipient of Year 2000 Outstanding Accomplishment Award by the National Capital Chapter of ACI. Dr. Khan was honored with a Profile in May-June 2011 issue of the TR News, which is a publication of the Transportation Research Board of the National Academies. 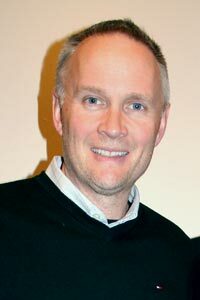 Roger Lindgren, Ph.D., P.E., P.Eng., a native of Edmonton, Canada, is a professor of civil engineering at Oregon Institute of Technology. He has over twenty years of engineering and teaching experience. His research interests include traffic flow theory, intelligent transportation systems (ITS), microscopic simulation of urban and rural traffic, as well as pavement design and construction. Dr. Lindgren's doctoral research included empirical studies of freeway traffic data in an effort to extend the knowledge and understanding of traffic features in queued and congested flow. Expertise: transportation in northern regions; seismic response of structures in frozen ground, soil stabilization, cold regions pavements, hydraulic structures in cold climates, and dust management. 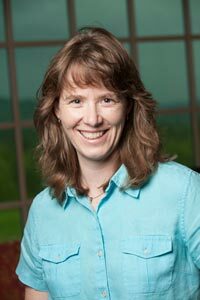 CESTiCC Associate Director at MSU Laura Fay, M.Sc., is a Research Scientist and the Program Manager for the Winter Maintenance & Effects group at the Western Transportation Institute at Montana State University. Mrs. Fay holds a M.S. in Environmental Science and Health from the University of Nevada, Reno and a B.S. in Earth Sciences from the University of California, Santa Cruz. She has a decade of transportation related research experience and a demonstrated publication record in the area of winter maintenance operations and environmental issues related to maintenance operations and materials. Mrs. Fay is an active member of the Transportation Research Board (TRB) under the National Academies, serving on the Low Volume Roads Committee (AFB30) and the Winter Maintenance Committee (AHD65), chairing the 2011 TRB Environmental Management of Low Volume Roads Workshop and serving on the technical committee for the 2015 TRB Low Volume Roads Conference. Additionally she is a founding member of the Unpaved Roads Institute (formerly the Road Dust Institute) and has served on the planning committee for the 2008, 2011, and 2014 Road Dust Management Conferences. 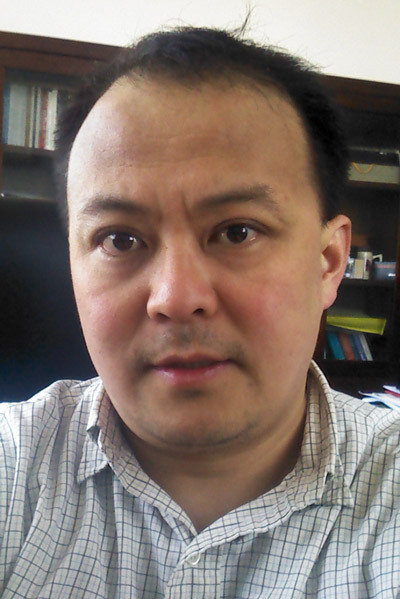 CESTiCC Assistant Director at WSU, Xianming Shi, Ph.D., P.E., is an associate professor in the Department of Civil and Environmental Engineering and Director of Laboratory for Advanced & Sustainable Cementitious Materials at the WSU. Before he joined WSU, he was a Research Professor at the Civil Engineering Department, MSU and a Program Manager and Senior Research Scientist at the Western Transportation Institute (WTI). He has more than 20 years of experience in conducting engineering and science research, with a demonstrated publication record, especially in the fields of sustainable materials and sustainable transportation in cold climates. He is an active member of ASCE, ACI, National Association of Corrosion Engineers (NACE), and several expert committees under the TRB. Prior to joining WSU, Dr. Shi led the Corrosion and Sustainable Infrastructure Laboratory (CSIL) and the Winter Maintenance & Effects (WME) Program at WTI. His research has been funded by numerous DOTs and consortia, the U.S. DOT Research and Innovative Technology Administration, National Cooperative Highway Research Program (NCHRP), Airport Cooperative Research Program (ACRP), and the private sector, with a total budget of over ten million dollars. Dr. Shi is trusted by numerous research sponsors and has provided extensive professional services (NSF invited panelist in 2012; Associate Editor of Innovations in Corrosion and Materials Science; Invited Panel Member/Expert by ACRP, NCHRP, TCRP, and FHWA; Chair and Session Organizer at International Conferences; Chair of TRB Subcommittee; etc.). He won the Outstanding Research Award from the College of Engineering at MSU in 2005. Rob Ament, M.Sc. – Biological Sciences, Road Ecology Program Manager, Western Transportation Institute – Montana State University. Rob has more than 30 years of experience in ecology, natural resource management, environmental policy and organizational development. At WTI, Rob leads our efforts to research, monitor and develop solutions to minimize the impacts of roads on the natural environment – wildlife, aquatics, vegetation - and to develop new technologies. He is the principal investigator of several research projects and oversees 8 staff in three offices in western North America that are working on 20 active research projects. He was an expert panelist for the development of a synthesis report on new technologies for environmental surveys via the National Cooperative Highway Research Program. He is on the Steering Committee for the International Conference on Ecology and Transportation, a member of the Stakeholders Advisory Group for the Western Governors’ Association’s Wildlife Corridors and Crucial Habitats Initiative, in 2013 he was invited to judge the FHWA’s biennial Environmental Excellence Awards and was elected to Montana State University’s Sustainability Advisory Council. I am a faculty in Environmental Engineering at University of Alaska Fairbanks since Fall 2013. Before coming to Alaska I completed my doctoral and post-doctoral work at University of Minnesota, Twin Cities. I work in a variety of topics within the broad sphere of environmental engineering ranging from water/wastewater treatment, biofilm processes, fate of contaminants to air pollution modeling. See my research page for more details. My expertise in research is in bridge engineering and earthquake engineering (and structural dynamics). Bridge long-term behavior and deterioration mechanisms, bridge composite girder design, and Accelerated Bridge Construction are the areas of my research. Specifically, the results of the NCHRP 12-58 project have been adopted in the AASHTO LRFD Bridge Design Specifications. In earthquake engineering and structural dynamics, I have researched on nonlinear time-history analysis; seismic design of buildings, bridges, and geotechnical structures; and Dynamic Ratchetting of elastic-plastic materials. Recently, I investigated the use of recycled materials in the shake table test of a full-scale retaining wall with TDA (Tire Derived Aggregate) backfill research. I am a faculty in Civil Engineering at the University of Alaska Fairbanks since 2003. 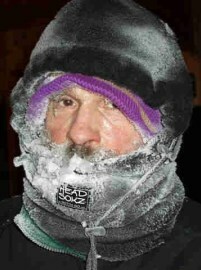 Before coming to Alaska I completed my doctoral in Civil Engineering (Water Resources) at the University of Minnesota. My previous education and up bringing was in Argentina. I work on a variety of topics related to water resources engineering including hydrology and hydraulics in cold regions, sediment transport in rivers, turbidity currents, and meteorological measurements. 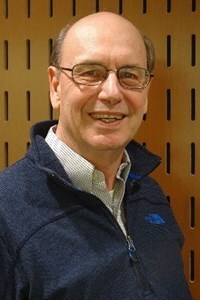 Robert A. Perkins, PE, PhD, is a professor of civil and environmental engineering at the University of Alaska Fairbanks. Following a 20-year career of designing and building marine, industrial and heavy construction projects, his interest in human health and risk evaluation led him to pursue a doctorate in toxicology. 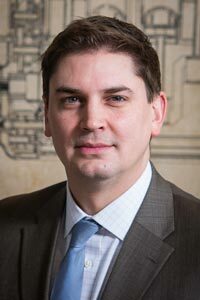 His appointment in UAF’s College of Engineering and Mines combines teaching engineering and construction management, and teaching and research about the risks of chemicals and industrial materials to humans and the environment. His interest in stakeholder and risk communication often combines both management and toxicology. His recent research involves risks in government contracting methods, use of naturally occurring asbestos in roadway materials, succession planning and knowledge transfer in state DOTs, and oil spill remediation in the arctic. Dr. Xiong Zhang, P.E., is an associate professor in the Department of Civil, Architectural and Environmental Engineering at the Missouri University of Science and Technology (Missouri S&T). 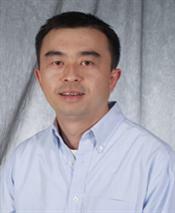 Dr. Zhang has been teaching and conducting research in the field of geotechnical engineering since 1992. 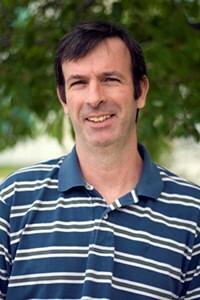 His studies focus on development of advanced laboratory techniques to rapidly characterize geomaterials, constitutive modeling coupled hydro-mechanical behavior of unsaturated soils, numerical modeling of climate-soil-structure interaction, slope stability analysis, soil stabilization and ground improvement, and frozen ground engineering. 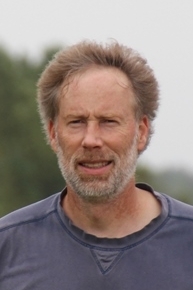 He was one of the two speakers of ASCE GeoInstitute Unsaturated Soils Committee Webinar on “Introduction to Constitutive Modeling of Unsaturated Soils.” He just received the 2016 International Innovation Award in Unsaturated Soil Mechanics within the International Society for Soil Mechanics and Geotechnical Engineering. Dr. Zhang is currently serving as an Associate Editor for Geomechanics and Engineering, An international Journal and committee member of several nationwide technical committees such as TRB AFP60 Committee on Engineering Behavior of Unsaturated Soils, TRB AFS20 Committee on Soil and Rock Instrumentation, and ASCE Geo-Institute Pavement Committee and Shallow Foundation Committee. He was secretary general for the 2014 GeoShanghai International Conference and the 2015 International Symposium on Systematic Approaches to Environmental Sustainability in Transportation. He organized several sessions in some international conferences and was an editor of ASCE Geo-Institute Geotechnical Special Publications No.189, 202, and 236. Dr. Blank holds a B.S. (University of Wisconsin, ’94) in geological engineering, M.S. (Montana State University [MSU] ’02) and Ph.D. (MSU ’08) in civil engineering. He has over 20 years of experience conducting both academic studies and consulting activities on water resource issues. He is currently a research scientist and assistant research professor at the Western Transportation Institute and the Civil Engineering Department at Montana State University, and serves as a technical director for Environmental Resources Management, a private consulting firm. 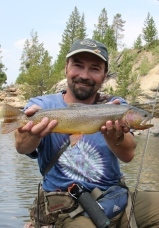 He is co-principal investigator of a fish passage and swimming research facility formed through a partnership with the United States Fish and Wildlife Service. He teaches applied fluid mechanics and engineering hydraulics at MSU. Through both research and consulting activities, Dr. Blank has been involved with the assessment and/or design of over 150 hydraulic structures in rivers and streams across the country and in Canada. Dr. Anthony Clevenger is currently a senior research scientist at the Western Transportation Institute, Montana State University (Bozeman, Montana). His research the last 20 years has focused on developing science-based solutions to the increasing problem of expanding road systems and the conservation of landscapes and animal populations. He was a member of the U.S. National Academy of Sciences Committee on Effects of Highways on Natural Communities and Ecosystems. He has published his results in leading international scientific journals (over 70 articles) and co-authored three books including the seminal work Road Ecology: Science and Solutions (Island Press, 2003) and Safe Passages: Highways, Wildlife and Habitat Connectivity (Island Press, 2010). Dr Clevenger uses his findings to educate transportation professionals and wildlife ecologists as well as guide the design of other highway projects. He has made his Banff research the highest profile and most scientifically productive wildlife-highway research project in the world. Dr. Clevenger has expertise in directing road ecology research, having served as Principal Investigator on projects planning, designing and evaluating the use of wildlife fencing and crossing structures in Canada, the U.S, Latin America and worldwide. In working on these projects, he has gained insight into the needs of transportation practitioners responsible for mitigating highway impacts to wildlife movement. Dr. Clevenger is a graduate of the University of California, Berkeley, has a Master’s degree from the University of Tennessee, Knoxville and a Doctoral degree in Zoology from the University of León, Spain. Marcel Huijser received his M.S. in population ecology (1992) and his Ph.D. in road ecology (2000) at Wageningen University in Wageningen, The Netherlands. He studied plant-herbivore interactions in wetlands for the Dutch Ministry of Transport, Public Works and Water Management (1992-1995), hedgehog traffic victims and mitigation strategies in an anthropogenic landscape for the Dutch Society for the Study and Conservation of Mammals (1995-1999), and multifunctional land use issues on agricultural lands for the Research Institute for Animal Husbandry at Wageningen University and Research Centre (1999-2002). In the second half of 2014 he was a visiting professor at the University of São Paulo in Brazil. Currently Marcel works on wildlife-transportation issues for the Western Transportation Institute at Montana State University (2002-present). Dr. Serena Chung is an Associate Research Professor in the Laboratory for Atmospheric Research at Washington State University. Her research focuses on developing, improving, and applying models to better understand the physical and chemical processes that affect air quality and its interaction with climate. Depending on the scientific objectives, the models she uses range from processed-based box models to three-dimensional regional and global chemistry and climate models. In the last few years, Dr. Chung has been involved in the development and operation of the regional air quality forecasting system for Pacific Northwest (PNW) called AIRPACT (http://lar.wsu.edu/airpact), which has been a widely used tool for federal, state and local agencies in the PNW in managing air quality concerns. Dr. Chung received her B.S. in Chemical Engineering from University of Illinois at Urbana Champaign and her M.S. and Ph.D. in Chemical Engineering from California Institute of Technology. Dr. Somayeh Nassiri is an assistant professor in the Civil & Environmental Engineering Department at WSU. 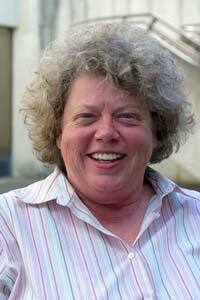 She teaches courses on infrastructure design and materials. Her research is dedicated to advancing the state of knowledge and practice on sustainable cementitious building materials and concrete infrastructure design. Dr. John Petrie is an assistant professor in the Department of Civil and Environmental Engineering at Washington State University (WSU). His research interests include sediment transport, snow transport, river hydrodynamics and morphology, and computational fluid dynamics. In particular, John seeks to combine field observations with numerical simulations to gain a more complete understanding of physical processes as well as provide practical solutions to engineering challenges. Prior to his position at WSU, John was a graduate research assistant in the Department of Civil and Environmental Engineering at Virginia Tech and assistant professor at the Virginia Commonwealth University in Qatar. He also holds a Bachelor of Music in Jazz Performance from the New England Conservancy. 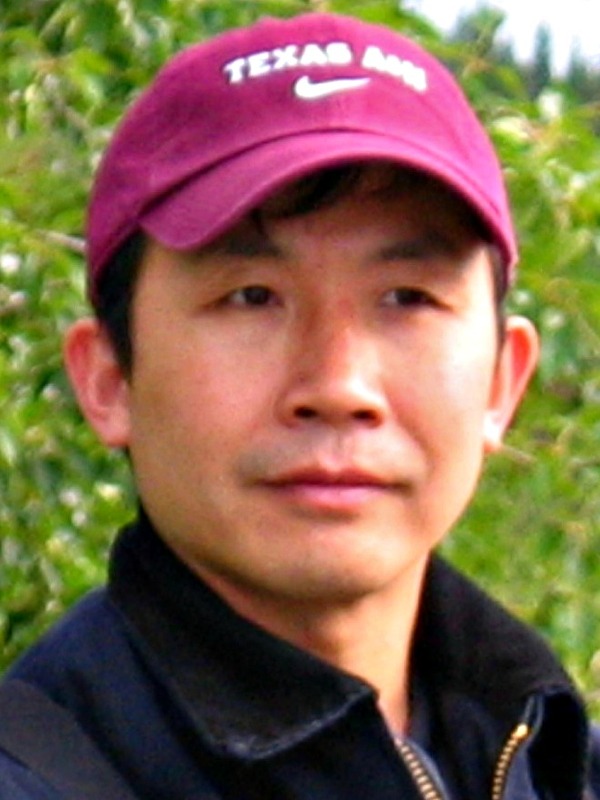 Dr. Pizhong Qiao, Professor of Civil and Environmental Engineering, Washington State University (WSU), has been extensively working in development, research and application of advanced and high performance materials (smart materials, polymer composites, and sustainable concrete) in civil and aerospace engineering. His research interests include analytical and applied mechanics, smart and composite materials, interface mechanics and fracture, impact mechanics and high energy absorption materials, structural health monitoring, integrated intelligent structural systems, materials characterization, and sustainable concrete. 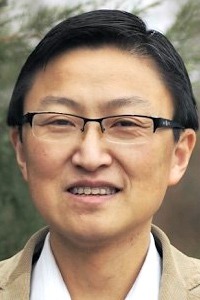 Dr. Pizhong Qiao, Professor of Civil and Environmental Engineering, Washington State University (WSU), and Founder of Integrated Smart Structures, Inc. (Copley OH), received his Ph.D. in Civil Engineering (Advanced Materials, Solid Mechanics and Structures) from West Virginia University (WVU) in 1997. 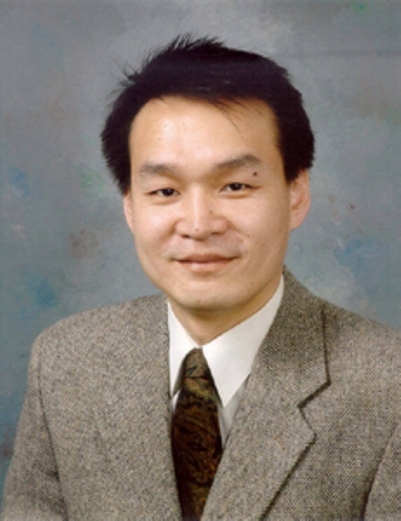 Before joining WSU, Dr. Qiao was Assistant/Associate Professor of Civil Engineering at the University of Akron, Ohio from 1999 to 2006 and Research Assistant Professor of Civil and Environmental Engineering at West Virginia University from 1997 to 1999. He is a registered professional engineer (PE) in Structural Engineering and certified in the practice of structural engineering from Structural Engineering Certification Board (SECB). He was named a Fellow of the American Society of Civil Engineers (ASCE) (April 2007) in recognition of “his significant contributions to civil engineering research, application, and teaching that have advanced the state-of-the-art in theory and practice in the composites area”. He is one of highly cited scientists (about top 1%) in the field of engineering according to Essential Science Indicators (ESI). Dr. Qiao has been extensively working in development, research and application of advanced and high performance materials (smart materials, polymer composites, and sustainable concrete) in civil and aerospace engineering. His research interest includes Analytical and Applied Mechanics, Smart and Composite Materials, Interface Mechanics and Fracture, Impact Mechanics and High Energy Absorption Materials, Structural Health Monitoring, Integrated Intelligent Structural Systems, Materials Characterization, and Sustainable Concrete. 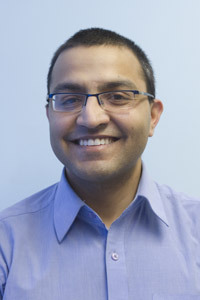 He was honored with the 2011 and 2012 Outstanding Faculty Researcher award at the Department of Civil and Environmental Engineering and the Anjan Bose Outstanding Researcher Award from College of Engineering and Architecture, Washington State University. Dr. Qiao serves as the Editor-in-Chief of Frontiers in Aerospace Engineering, Associate Editor of Structural Health Monitoring-International Journal, ASCE Journal of Engineering Mechanics, and ASCE Journal of Aerospace Engineering, and editorial board member of eight journals of international circulation. 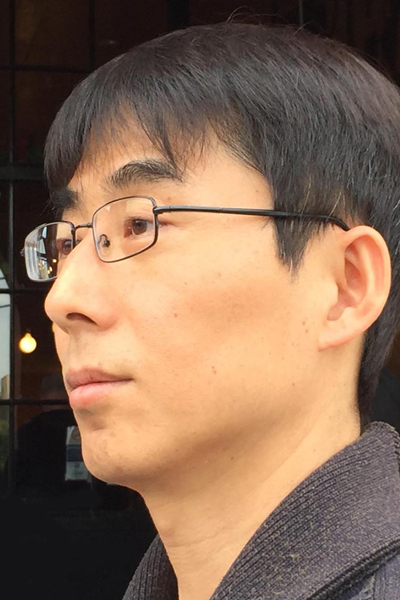 Jia Yan, Associate Professor of Economics at Washington State University and specializes in transportation, empirical industrial organization and applied econometrics. His recent research projects cover various topics including cost-benefit analysis of transport infrastructure, congestion pricing and deregulation of transport sectors. Professor Yan served past as Associate Editor of Journal of Air Transport Management and has served as member of editorial board of Transportmetrica. He serves as member of the Airport Cooperative Research Program Project Panel of the Transportation Research Board in the National Academies of Sciences, Engineering and Medicine. He received the best dissertation award from the Transport and Public Utility Group of the American Economic Association in 2002, the best paper award from the Transportation Research Forum in 2009 and the best paper award from the International Transport Economics Association in 2011. He was visiting professor at the University of Sydney in Australia and Nankai University in China. 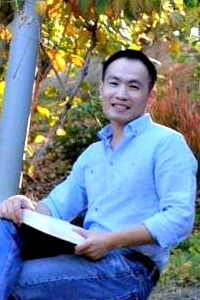 Dr. Zhengxian Yang, Assistant Research Professor at the CEE Department, Washington State University (WSU). He obtained his Ph.D in Structural Engineering from TU Delft, The Netherlands. He holds a Bachelor’s degree in Applied Chemistry, and a Master’s degree in Physical Chemistry. Before joining WSU, he worked as a Researcher at TU Delft and Material innovation institute (M2i) in the Netherlands, a Research Scientist at the Western Transportation Institute of Montana State University. He has served as Principal Investigator (PI), co-investigator and/or key research staff for 20 research projects, of which 15 were from the US, 3 from the Netherlands, and 2 from China. He has published more than 40 papers and 2 book chapters and presented his scientific research in more than ten international conferences in which two papers were selected as the best papers. He currently serves as the Editorial Board member of “Advances in Concrete Construction (ACC), An International Journal” and is the invited reviewer for numerous peer-reviewed journals, international conferences and proposals. His research mainly focuses on sustainability of cementitious materials, which includes: 1) the development of eco-friendly “green” concrete by innovative use of high volume industrial by-products and agricultural waste; 2) the design/development of multi-functional “smart” admixtures; 3) advanced concrete technology such as self-healing, air-purifying concrete and the application of nanotechnology in cementitious materials, and 4) cement chemistry and microstructural properties of concrete. Another key aspect of his research is durability of concrete, in particular, corrosion of reinforcement and measures to evaluate and mitigate its effects. 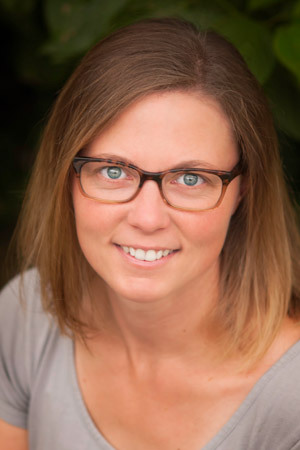 CESTiCC Associate Director at WSU, Liv Haselbach, Ph.D., P.E., is a professor in the Department of Civil and Environmental Engineering at the WSU. She is the author of the McGraw-Hill GreenSource book, The Engineering Guide to LEED-New Construction, Sustainable Construction for Engineers. She has authored numerous papers on sustainability related to developmental issues, carbon sequestration and low impact development. Her recent research includes water quantity and quality benefits of permeable pavements, titanium dioxide as an air pollutant treatment for pavements and life cycle assessment (particularly use phase) projects on carbon and energy related to transportation. Dr. Haselbach is very active in the sustainability education arena and has developed courses on sustainability and the LEED rating system at WSU and the University of South Carolina. She is a LEED AP (BD+C). Prior to her academic career she founded an engineering consulting company in the New York – Connecticut area, which specialized in permitting, construction and site development for major US companies, particularly in the retail petroleum industry. Her degrees include a BS in Civil and Environmental Engineering from Cornell, an MS in Chemical Engineering from UC Berkeley, and a PhD in Environmental Engineering from the University of Connecticut. Mr. Du is currently a Ph.D. candidate in Transportation Engineering at Harbin Institute of Technology. During his master program at HIT, he mainly focused on the durability research of concrete subjected to cold weather after a short curing duration. Currently, his research focuses on the development of environmentally friendly concretes by using coal fly ash as the main cementitious binder, the durability of high volume fly ash concretes (HVFACs) in cold climate and the use of nanotechnology for HVFACs. 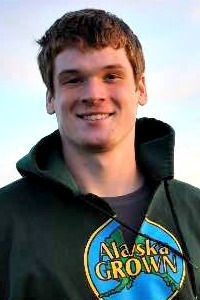 Gabe Fulton is an undergraduate student in Civil Engineering at the University of Alaska Fairbanks. He has been working as a researcher for the University for the past two years. His previous research experience includes an Arctic Engineering internship in Denmark. His current CESTiCC research projects are DustM under Dr. Barnes and Characterization of HMA containing RAP under Dr. Liu. He is planning to graduate with a Bachelor of Science and is considering graduate studies. 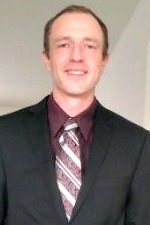 Daniel Hoffman received his A.S. in Engineering at Virginia Western Community College before transferring to Washington State University where he majors in Chemical Engineering. 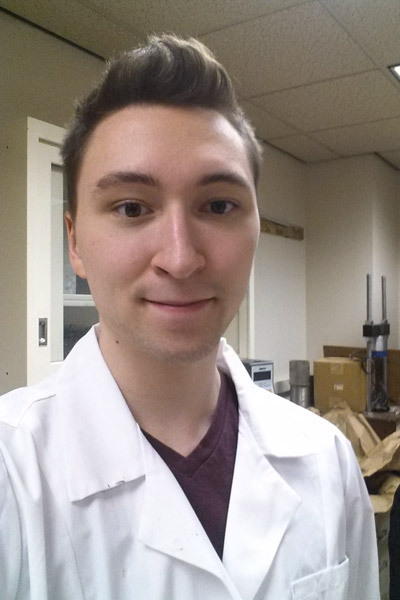 He is an active officer in the American Institute of Chemical Engineers WSU student chapter presently serving as the Activities Coordinator, and is also an undergraduate research assistant at WSU’s Laboratory of Advanced & Sustainable Cementitious Materials. His professional aspirations are concerned with the application of engineering principles coupled with chemical science in pursuit of long term solutions contributing to a less impactful, and therefore more sustainable, existence for humanity. He is presently involved in two research projects. His first project concerns the remediation of volatile organic compounds and NOx gases through the use of Titanium dioxide by photocatalytic degradation. His second project concerns the development of chemical treatment processes by which recycled concrete can be reused in new concrete without that concrete suffering from a number of negative characteristics which presently limit its use to low strength application. 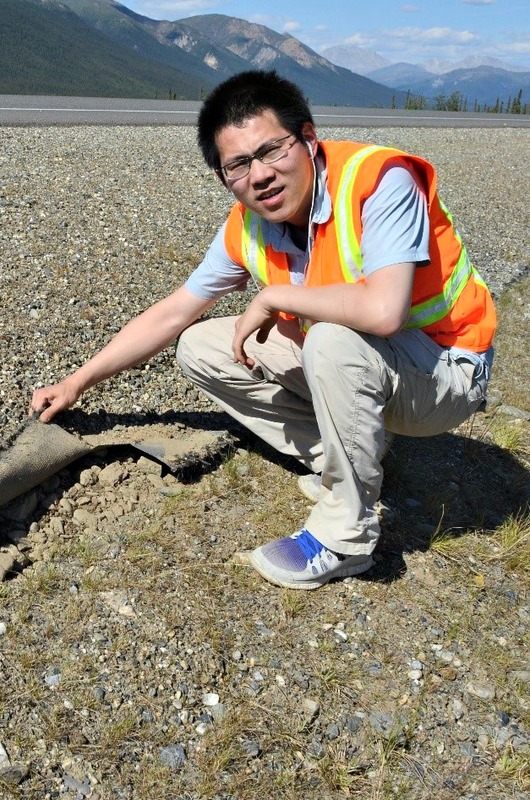 Mr. Chuang Lin is now a PhD student major in geotechnical engineering. He got Bachelor’s degree at Jilin University in civil engineering back in 2011. Then he got Master’s degree at University of Alaska Fairbanks in geotechnical engineering in UAF in 2014. He transferred to Missouri University of Science and Technology in 2016 to continue his PhD degree. 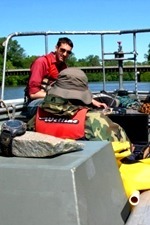 His master’s research topic is to evaluate the application of shallow anchor performance in ice-rich silt. He published 2 journal papers and 3 conference papers, and was the AUTC and Mendehall Travel awards in 2014 for poster presenting at TRB. Mr. Lin was invited as a reviewer for 3 journals. During his PhD study, his research focused on evaluating the performance of a new wicking fabric to remove capillary water from pavement structures. He has been subsequently in charge of 4 projects that aimed at characterizing, field testing and monitoring, simulating the wicking fabric performance. Mr. Lin was also invited as a guest speaker to present his research at Zhejiang University in 2015 and Summer Transportation Institute in 2016. 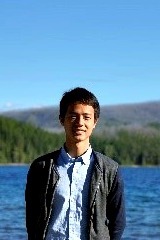 Besides research, he was a committee member of Arctic Innovation Competition in 2013 and local organizing committee for International Symposium on Systematic Approaches to Environmental Sustainability in Transportation in 2015. 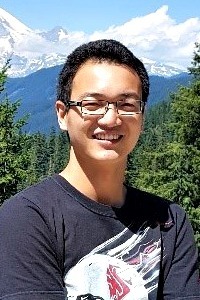 Jiehong Qiu is a doctoral student in Economics at Washington State University since 2013 and expects to complete the PH.D. degree in 2018. Qiu’s research interests include applied econometrics, empirical industrial organization, transportation economics and so on. Most of Qiu’s works are data-based and policy-orientated. His current research focuses on the economics of online market and sharing economics, as well as competition in transportation. 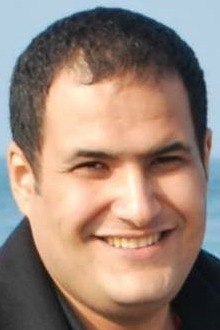 Mr. Shehata is currently a Ph.D. student in the Civil and Environmental Engineering at Washington State University. He got his master degree from the EuroAquae European Erasmus-Mundus program, where he focused mainly on studying the physical and numerical aspects of the hydrologic and hydraulic models. Currently, his research focuses on optimizing the living snow fences design to improve its effectiveness on preventing drifting snow from accumulating over vital roads. 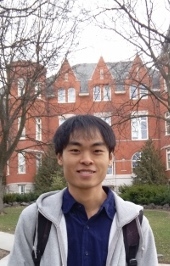 Xinlong Tan is a PH.D. student in Economics at Washington State University. His research mainly focuses on applied econometrics, empirical industrial organization, and airline competition. Tan’s doctoral dissertation is on airline merger and Open Skies competition. 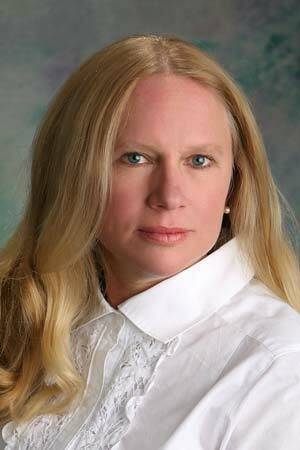 I am born and raised in Fairbanks, Alaska and have developed a passion for sustainability in urban housing. Pursuing engineering has made me into a well-rounded individual and I have become more aware of global concerns that need to be addressed. I believe it is my responsibility as an engineer in training to develop innovative solutions to everyday problems. My individual goals are to work for a company that promotes responsible and efficient systems that can be incorporated into the daily lives of a residence or business. The concrete creep project will broaden my horizons and further my interest in concrete applications. I am from Poyang, known as the “Lake City of China”. After completing my master degree at Shandong University, I started my Ph.D. study in civil engineering at the Washington State University in August 2014. My current research mainly focuses on characterization, modeling and durability of advanced cementitious and concrete materials under the supervision of Dr. Pizhong Qiao.